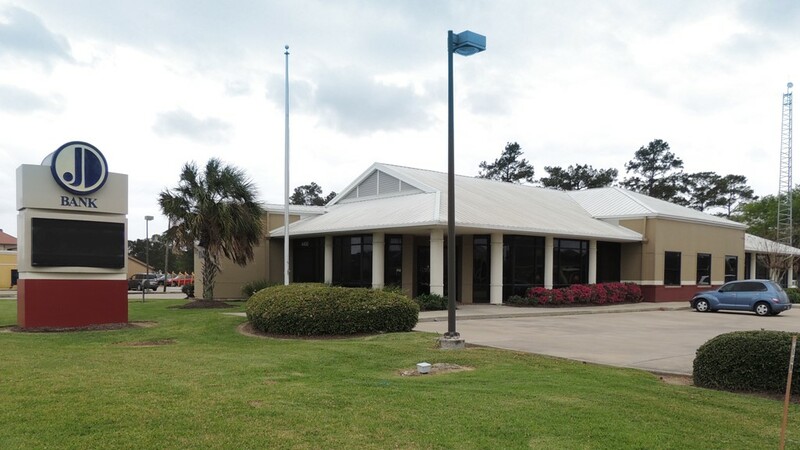 JD Bank is Louisiana’s Community Bank and has served Southwest Louisiana since 1947. Through the years we have seen the communities that we serve grow, and we are honored to have the support of our many loyal customers. JD Bank has 23 locations across Southwest Louisiana, with branches located in Carlyss, Eunice, Iowa, Jennings, Kinder, Lafayette, Lake Arthur, Lake Charles, Mamou, Moss Bluff, New Iberia, Opelousas, Sulphur, Ville Platte, Welsh and Westlake. 21 branches are full-service and two are Drive-thru only. Our full-service branches handle a wide variety of banking services from consumer to commercial products. Our consumer banking services include a wide variety of checking and savings accounts, Individual Retirements Accounts, Certificates of Deposits, Christmas Club Accounts, Individual Money Market Accounts, Mortgages, Home Equity Lines of Credit and General Consumer Loans for personal items such as Recreational Vehicles, Boats and Autos. JD Bank’s Signature consumer product is our ZydeCash Checking account. ZydeCash Checking account is a free high-interest checking account that can reward you to the tune of a current 2.51% annual percentage yield* (APY) every monthly qualification cycle on balances up to $10,000. ZydeCash Checking includes refunds on the ATM fees charged by other banks nationwide (we also refund the surcharge fees JDB charges), has 24/7 online and mobile banking and no monthly service fees. ZydeCash Checking was designed to help you benefit from the growth potential of your money. In order to receive the 2.51% APY, terms and conditions apply. Please visit https://JDBank.com/ZydeCash/ for more detailed information. JD Bank’s Mortgage Department makes home ownership attainable. Our home lenders are local, with decades of experience helping individuals and families with home loans that are a perfect fit. From application to closing, JD Bank makes the experience of buying or refinancing a home all about you and achieving your dreams. We offer Conventional Mortgages, Mobile Home Loans, Rural Development, FHA and VA Loans, and Construction Loans. Our construction loans include land, interim and permanent financing. JD Bank will take you from buying the property, through building your dream home, and after completion, into the permanent financing for your home. We make the process simple and seamless, and it is all under one roof to eliminate additional closing costs. Whether you’re a first-time buyer, purchasing your next home or refinancing your current one, we can help. JD Bank also offers General Consumer Loans. Whether it’s a new car, a new boat, or a new baby on the way, we can help. JD Bank is committed to making loans to qualified applicants for any good reason. Our team of experienced Loan Officers will make sure that you get some of the best rates available and have the money in-hand quickly and hassle-free with low interest rates, flexible term options, quick approval and personalized service. With a commercial loan from JD Bank the decisions are made locally. At JD Bank, we understand that our customers don’t keep the same hours that we do. We have invested in technologies that allow our customers to conduct their banking business whenever and wherever it is convenient for them. All JD Bank accounts come with Online and Mobile banking, allowing YOU to manage your money electronically. Card Valet allows our customers to have greater control over the security of their Debit Cards. Our Mobile Wallet allows customers to use their smartphone to make payments. It adds a greater level of security and gives our customers the confidence to know that their information is safe and sound. JD Bank is a member of the “Community Cash” network. Member banks provide their customers “free ATM transactions” at over 500 ATM locations in seven states. Our commercial banking services also include a wide variety of Business checking and savings accounts, Certificates of Deposits, Individual Money Market Commercial Accounts, Mortgages, Agricultural Loans, Commercial Lending and a wide variety of Business Banking products including Merchant Capture, ACH Origination, Merchant Services, Online Wiring Services and more. At the heart of our commercial banking services are our commercial lenders. Their knowledge of the area and its commercial lending needs are an invaluable source for customers with commercial needs. From General Business Loans, Agriculture Loans, and Equipment loans to Lines of Credit, one of our JD Bank Commercial Lenders is ready to grow your business. Thank you for choosing JD Bank, Louisiana’s Community Bank, for all of your banking needs. We look forward to serving you. JD Bank is a Member FDIC and an Equal Housing Lender. JD Bank is an Equal Opportunity Employer. *Minimum to open account is $25 for ZydeCashSM Checking and $25. for ZydeCashSM Savings. Annual Percentage Yield (APY) accurate as of 6/20/2018. ZydeCash Checking rate tiers are as follows: 2.51% APY applies to balances of $0.01-$10,000 and 0.15% APY applies to balances over $10,000 if qualifications are met during monthly qualification cycle. 0.05% APY applies to all balances if qualifications are not met. All balances will earn 2.51% APY – 0.15% APY if qualifications are met. The advertised ZydeCash Checking APY is based on compounding interest. The interest earned in ZydeCash Checking is automatically transferred to ZydeCash Savings each statement cycle and does not compound. The actual interest paid may be less than the advertised APY. The ZydeCash Savings APYs may be less than the ZydeCash Checking APYs. ZydeCash Savings rate tiers are as follows: 0.76% APY applies to balances of $0.01-$30,000 and 0.15% APY applies to balances over $30,000 if qualifications are met during monthly qualification cycle on ZydeCash Checking. 0.05% APY applies to all balances if qualifications are not met on ZydeCash Checking. All balances will earn 0.76% APY – 0.15% APY if qualifications are met on ZydeCash Checking. Qualifying transactions must post and settle in ZydeCash Checking during monthly qualification cycle. Transactions may take one or more banking days from transaction date to post to an account. Intra-bank transfers do not count as qualifying transactions. ATM-processed transactions do not count as debit card transactions. Rates may change after account is opened. Fees may reduce earnings. ATM Fees will be refunded (ZydeCash Checking account only) up to $25 per qualification cycle provided qualifications are met within monthly qualification cycle. Limited to one account per social security number. Overdraft and returned item fees may apply.